With over 25 years experience in the glazing industry, AAA Glass has become synonymous with high quality domestic glass repairs throughout Melbourne. Whether you need a window glass replacement, shower screen repairs, a bathroom mirror or splashback replacement, our expert glaziers can be at your premises within hours for quick and efficient repairs. No matter how big or small the project, we are passionate about delivering the best standard of service with every glass application. At AAA Glass, we understand that broken glass can present a real threat to your safety, if not fixed immediately. Our team is available 24 hours a day, 7 days a week to get your glass repaired - with minimum stress and fuss. For all your emergency repairs, AAA Glass is the place to call. There’s no need to stress when you have AAA Glass in your corner. With glass products built to last and only the best quality finishes on all our residential repairs, you can be assured of the highest quality outcome every time. AAA Glass has been providing affordable broken window repairs since 1991. Are you renovating an old house and need some cracked windows repaired? Perhaps, one of your kids kicked a ball through the window by accident? No problem. We specialise in a range of glass replacement services of all shapes, sizes and dimensions. 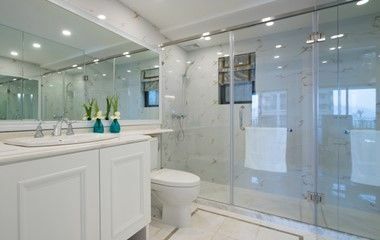 Whether you require patterned or floating glass, frosted, clear or tinted styles, AAA Glass has got the right product to get the job done right and within budget. Furthermore, our 24-hour ‘on- call’ service means you won’t ever have to worry about broken glass again! Our fully qualified and accredited glaziers, are fully equipped to tackle a range of different residential projects ranging from simple glass repairs to more elaborate glass replacements that require great skill, technique and expertise. 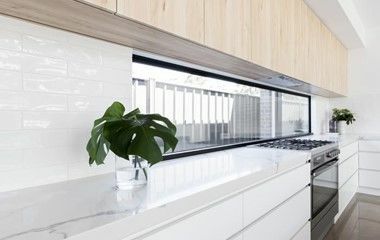 We provide glass solutions for both interior and exterior residential applications including doors, windows, mirrors, balustrades, custom shower screens and bathroom splashbacks in a range of contemporary colours and finishes. Do you have an emergency glass repair that needs addressing today? Give AAA Glass a call today on 1300-666-701 for immediate assistance and affordable same day service.